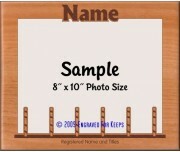 An Obedience bar jump with uprights is engraved and cut along the bottom of the frame. 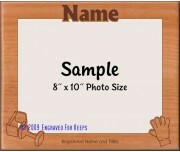 Space is available below the bar to engrave the registered name and titles at no extra charge. 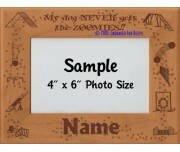 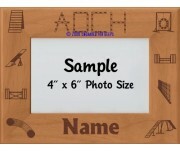 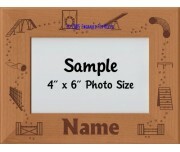 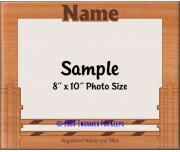 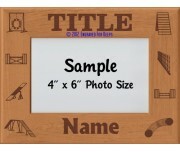 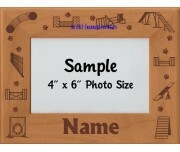 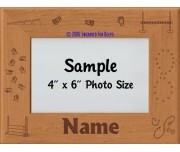 These make great High in Trial award frames for Obedience events! 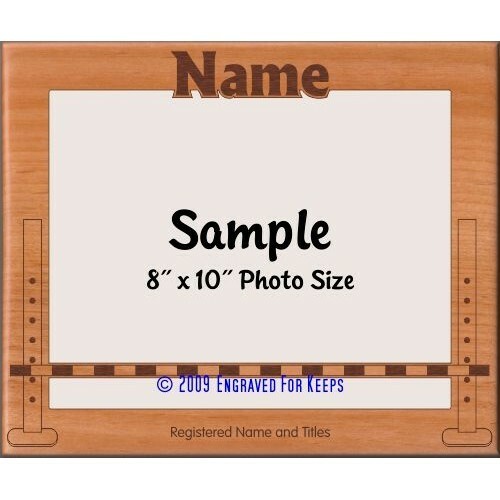 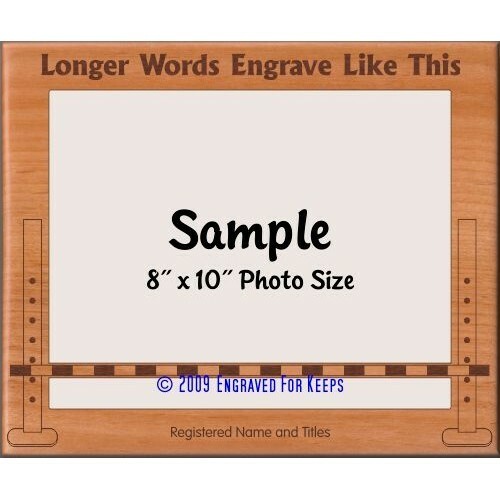 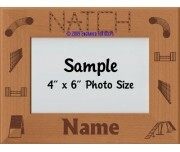 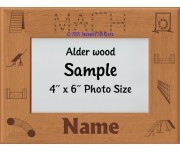 These also make great agility award frames to showcase titles earned at the top of the frame such as MACH, PACH, PAX, NATCH, CATCH, TACH and the dog's registered name at the bottom!